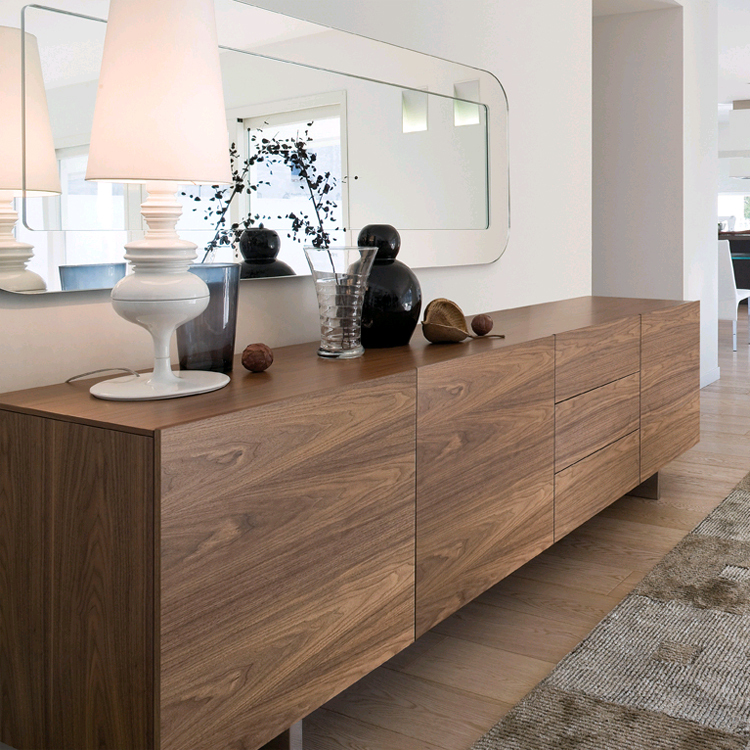 An ultra-modern sideboard with a wooden or lacquered wood frame. 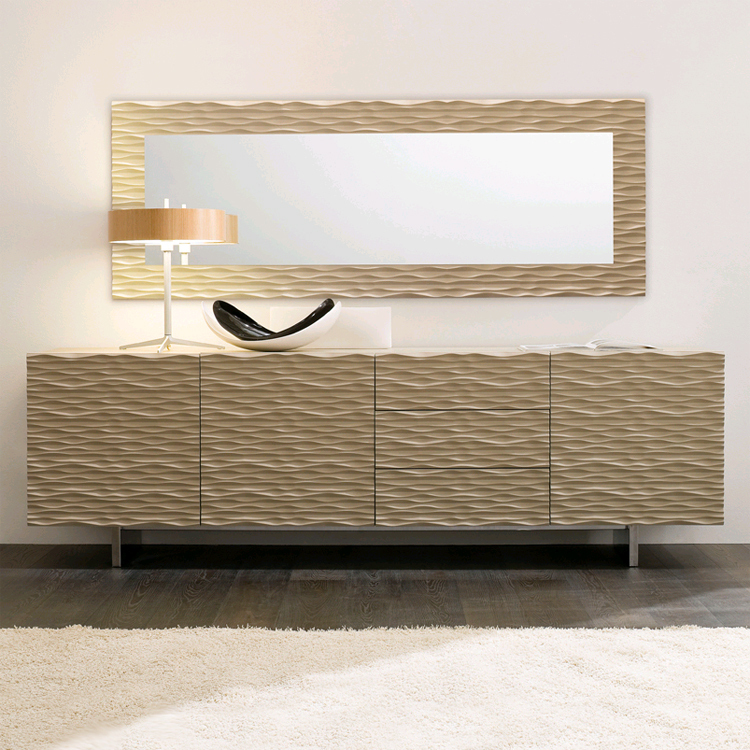 3 doors and 3 drawers (wooden, lacquered wood or rippled effect). Chromed steel base and clear glass internal shelves. 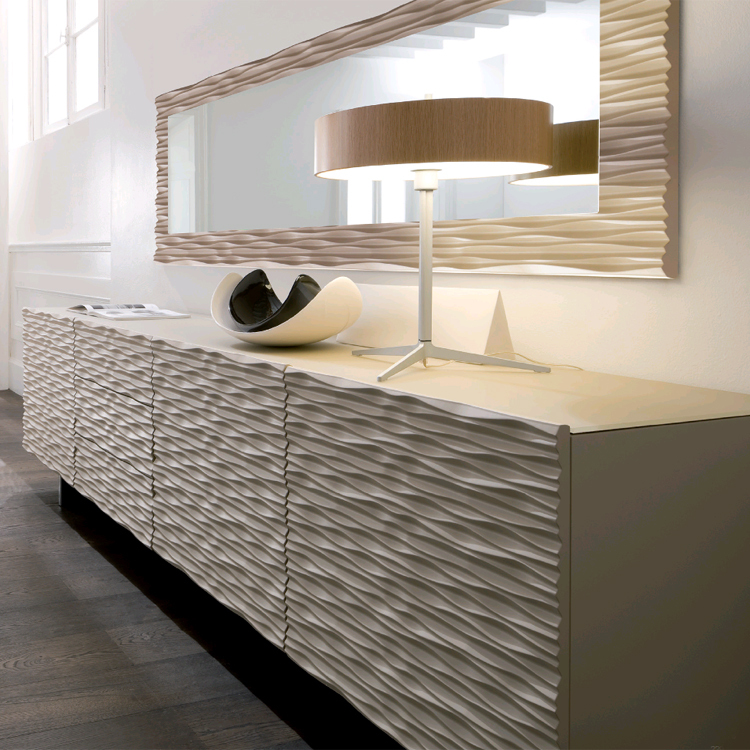 The matt lacquered version is supplied with a painted satin glass top. See sample cards below for all color options. Assembly required.